I don’t know if it’s because of my resolution to eat better in the new year, or what, but I’ve become obssesed with zoodles. I mean I always liked them, but lately it seems like my body is craving them. I’ve been spending more time than I should be surfing Pinterest trying to come with new ideas on how to eat them. They are just so freaking good and the fact that they are low carb, gluten free and healthy is just the proverbial cherry on the cake. 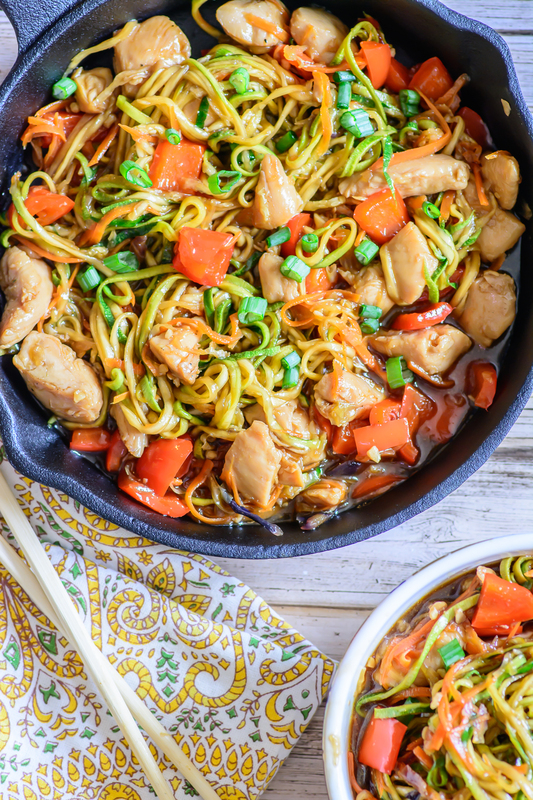 So far my favorite zoodle recipes have been these one skillet garlic parmesan zoodles, this ridiculously good spicy asian chicken zoodle soup & this divine Honey Sriracha Chicken Zoodle Bowl. To say that this dish is good is a massive understatement. This is sweet, spicy and savory all wrapped into one scrumptious recipe. 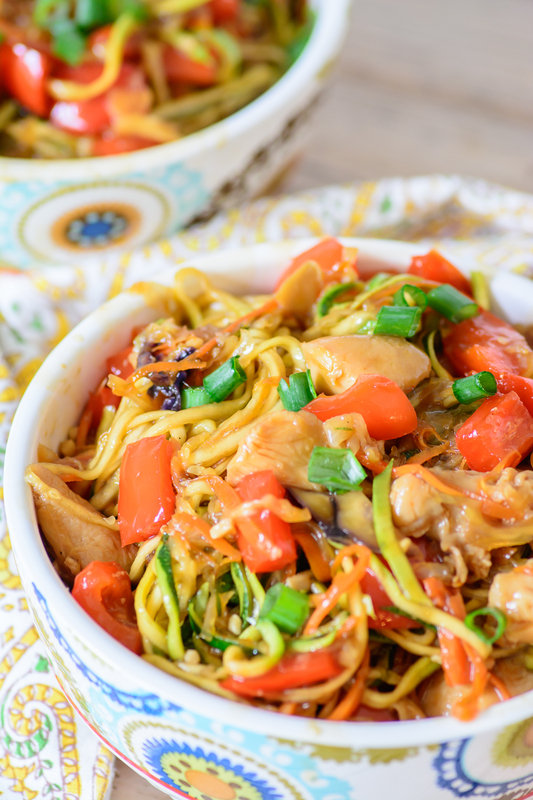 This is the kind of recipe that people write songs about….okay, not really but they should and if I had any musical skills I would totally write “An ode to a zoodle bowl”. 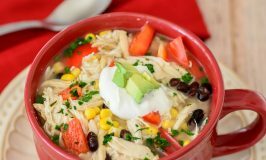 If you haven’t figured it out yet, this is a recipe that you need to try. Like now. In a medium bowl, whisk together the honey, sriracha sauce, soy sauce, water, coconut sugar, ginger, garlic, wine hoisin sauce, salt and pepper in a medium bowl. Put sauce and chicken into a large freezer bag and let marinate in the fridge for at least 30 minutes, overnight is better though. 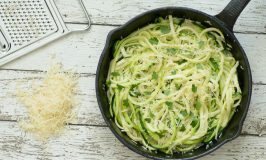 When you are ready to cook the meal spiralize the zucchini. 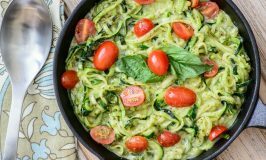 Place zoodles in a colander and salt liberally (don't skip this step or you'll get a sticky soggy mess) let sit for 20 minutes then soak up extra moisture with a paper towel. 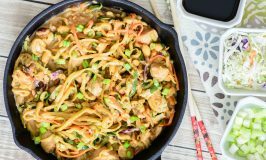 While zoodles are sitting heat 1 tablespoon sesame oil in a skillet or pan over high heat and remove chicken from marinade. Add chicken to the skillet and saute until no longer pink. Add peppers, onion, cabbage and carrots to the skillet and saute 2 minutes. add zoodles and continue to cook on medium heat stirring occasionally. Add cornstarch to the remaining marinade and whisk to recombine. Add to chicken & vegetables. Simmer over low heat until sauce has thickened and vegetables are tender. Serve warm. You can also save leftovers in an air tight container in the fridge for up to 7 days. There you have it. 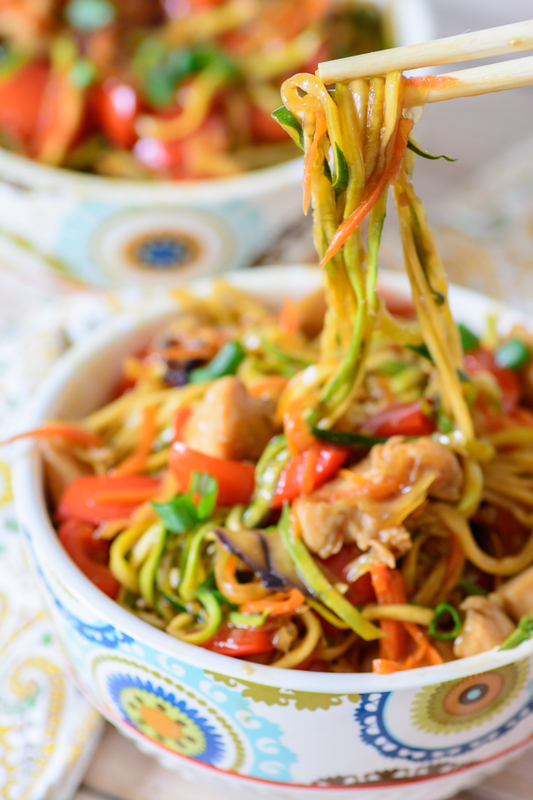 Pretty much the best zoodle recipe on the planet. I hope you like it as much as I do! Happy zoodle-ing! You can just omit it, the flavors will still compliment each other nicely. Hope you enjoy it!! This is one beautiful dish Jordyn. I just love all of the flavors and textures you've combined. 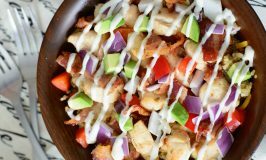 It is a flavorful way to get some great veggies in too! Mine don't! They didn't even notice the first time I served it lol! I think I'm addicted to sriracha lol! It's so good! This looks amazing! 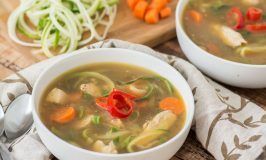 I'm a total sucker for anything healthy and spicy so this is right up my alley!